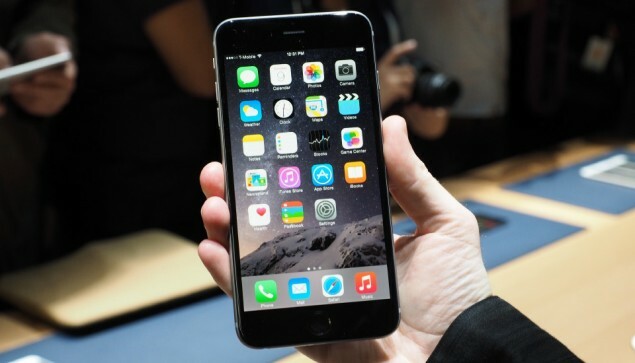 Apple's iPhone 6 Plus Has the Ability to "Play Games in Higher Resolution Than the Next-Gen Consoles"
Apple’s iPhone 6 Plus Has the Ability to “Play Games in Higher Resolution Than the Next-Gen Consoles” – The New Console Killer? Apple has finally set its latest iPhone 6 flagship phone against wide public exposure, and this time, the successor to one of the most cherished mobile phones worldwide comes in two variants; the simple iPhone 6, and the iPhone 6 Plus, which packs a beautiful 1080p Retina HD LCD display, and with all those pixels, it is said that the brand new iPhablet (Of course, it’s not officially called that) “will play games in higher resolution than next generation consoles.” The truth is not at odds, the iPhone 6 Plus really will, and theoretically, it will as well be able to deliver the processing firepower needed to run triple A mobile video games. Apple’s latest flagship phone is now official and you will soon be seeing the two different variants of it in a lot of hands. Packing several impressive features, iPhone 6 and iPhone 6 Plus both run on Apple’s latest A8 SoC that delivers overall better CPU and GPU performance compared to the A7 dual-core processor from iPhone 5s. One of the effective iPhone 6 Plus’ features is its beautiful 1080p Retina HD 5.5″ LCD display, which places it under the phablet category, and also empowers it to run games at full HD resolution. With a 1080p Retina HD display, the iPhone 6 Plus undoubtedly has the ability to play games at full HD resolution, which is higher than what most major games on the latest consoles are able to put out. Now iPhone 6 Plus is not the only phone to pack a 1080p display, but it apparently is the one that can theoretically provide enough processing firepower required to run triple A video games. To understand this better, let’s take a look back at Apple’s WWDC 2014 event, during which Apple’s senior vice president of software engineering, Craig Federighi, introduced “iOS 8 Metal” for the first time, and explained that it is meant to provide “near bare to the metal access to the power of A8.” In simple form, it means that Metal allows developers to directly squeeze far more juice out of the GPU. This makes the A8 chip, which already provides 25% increased CPU performance, 50% increased graphics processing performance, and less heat compared to its predecessor, far more efficient and dynamic. 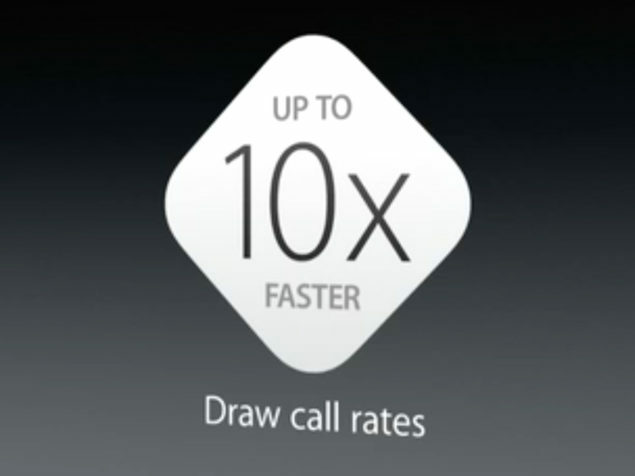 Simple example by CrashWiki is that the iOS 8 Metal allows for 10x faster draw calls, that are essential and needed to render all the objects present in a scene in a 3D video game. That means developers now will be able to create much faster, more smooth and responsive video games with dynamic, graphically detailed environments. iOS 8 has also received a bump in game load time performance due to the precompiled shaders support. Shaders, as we know, are an agent for in-game environment lighting and color, the are very crucial in rendering realistic and immersive environments. Precompiling shaders means allowing them to cut the load time short. I won’t say just now that iPhone 6 Plus is the new console killer, that won’t entirely make any sense (mobile vs consoles, that is), and that it will be able to handle and provide such in-game experience that Bungie’s Destiny running on the PlayStation 4 and Xbox One consoles can. But the fact is that Apple’s new phone is undoubtedly a thing to consider, it might even outrun all in the race of offering realistic mobile video games. What do you think about this capability of the latest iPhone 6 Plus, in contrast to the latest PlayStation 4 and Xbox One consoles? Share your thoughts in the comments section below.